I’ve become a groundhopper, not to the extent of Paul Gerald or Peter Miles or Tony Incenzo, but I take pics, talk to people and write posts about teams, supporters and venues in the United States. But what about swag? As a big kit nerd, the obvious choice would be to get a shirt at each match, but that strategy has a couple of problems: 1) not every team has a merch store or even jerseys for sale; 2) at $55 to $100 a pop, a one stop/one shirt policy could get pricey; and 3) where would I put them all? I don’t have a mancave (yet) and as much as I would love to wear a different jersey every day, society and my workplace frown upon that. 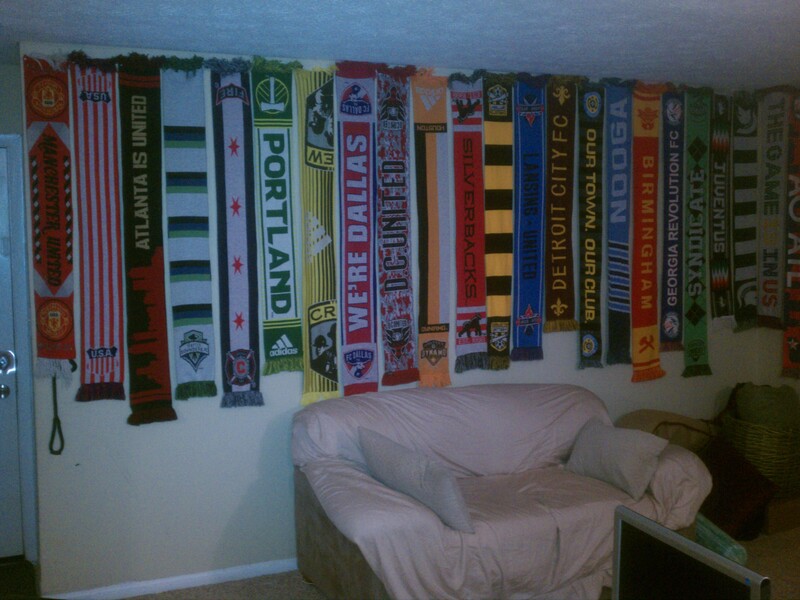 So my solution has been to pick up a scarf at each game I attend. This strategy has paid off in several ways. Scarves are almost always available at games, and if not, readily available on club websites. Plus at $25 to $35 each, this is the better option financially. On top of that, scarves are packable and easy to display. Manchester United–The club team I have been supporting for 20 years. One day I will make it to Old Trafford. C’mon you Reds!! US Soccer–I have seen several US games over the years , and I continuing to engage my own country instead of wishing I was Croatian or Dutch or almost anything else. Atlanta United–MLS club kicking off in 2017. I’m a season ticket holder and can’t wait for the team to launch and play their first game at Mercedes Benz Stadium. Seattle Sounders–One of my first trips and had an awesome time. Chicago Fire–Used to watch them at Soldier Field. Saw the new home out in the middle of nowhere. Portland Timbers—Stood with Timbers Army in a very unique environment. Columbus Crew—Saw one of the first games at this Soccer Specific Stadium and have been several times since. FC Dallas—Another facility out in the middle of nowhere but Dallas Beer Guardians more than made up for it. DC United—Got to see DC United at RFK before they move to the new ground. Houston Dynamo—Amazing venue and hopefully the team returns it past glory. Atlanta Silverbacks–Former NASL team playing in NPSL, I have been to many games and worked for the Reserves team. Charleston Battery–Fantastic USL team with great supporters playing an intimate venue filled with soccer memorabilia. Lansing United–The club launched the summer before I left Lansing and is doing things right on and off the pitch. Detroit City FC–My first taste of real supporter culture. It has been wonderful keeping an eye on this team from the first days. 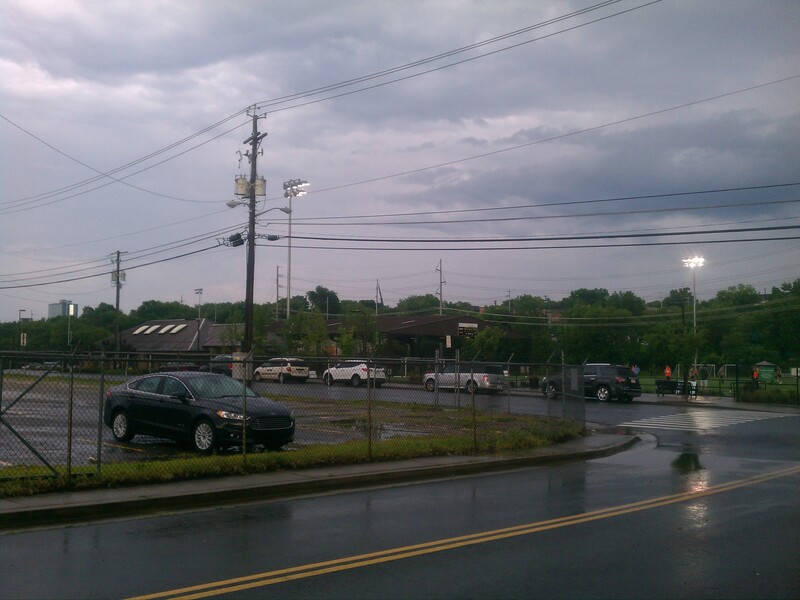 Nashville FC–Vanderbilt Stadium wasn’t the greatest venue but wonderful fans. Chattanooga FC–Love going up to Chattanooga. Real passion behind a successful NPSL club. Birmingham Hammers–Met some fired up supporters for the Hammers’ first season. Looking forward to going back. Georgia Revolution–Under new ownership, this club is providing players a stepping stone to next level. Knoxville Force (Scruffy City Syndicate)–Growing club with ardent supporters, playing right in downtown Knoxville. Juventus–Fell in love with Alessandro Del Piero and followed the bianconeri until I decided to focus my soccer supporting efforts. MSU Spartans–Went to many a game at DeMartin Stadium during my time in Lansing. World Cup 2022–My wife won this in a raffle. It’s the scarf from the US 2022 World Cup bid. American Outlaws Atlanta. I love hanging out with these passionate supporters of US Soccer. 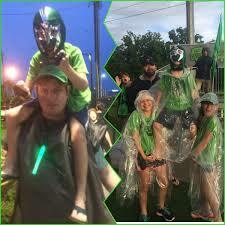 Terminus Legion 2015–Joined this Supporter Group at the intersection of Atlanta and Soccer in 2015 after moving to Atlanta in 2014. Terminus Legion 2016–Re-upped and run the soccer team and host the Terminus Legion podcast. The General–Special edition summer scarf produced by Terminus Legion to celebrate the history of Atlanta. 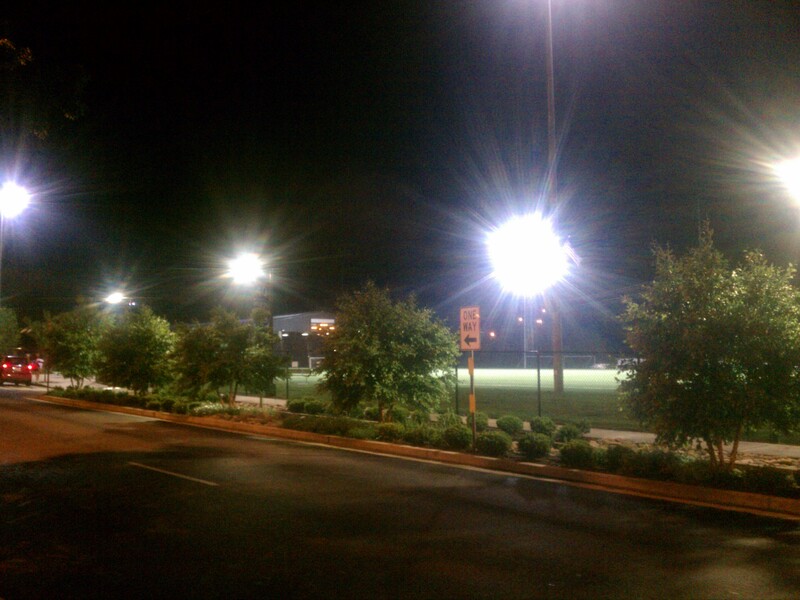 Soccer in the Streets–An amazing organization that brings soccer to underserved youth in Atlanta. Just launched Station Soccer, a pitch on top of a transit station. 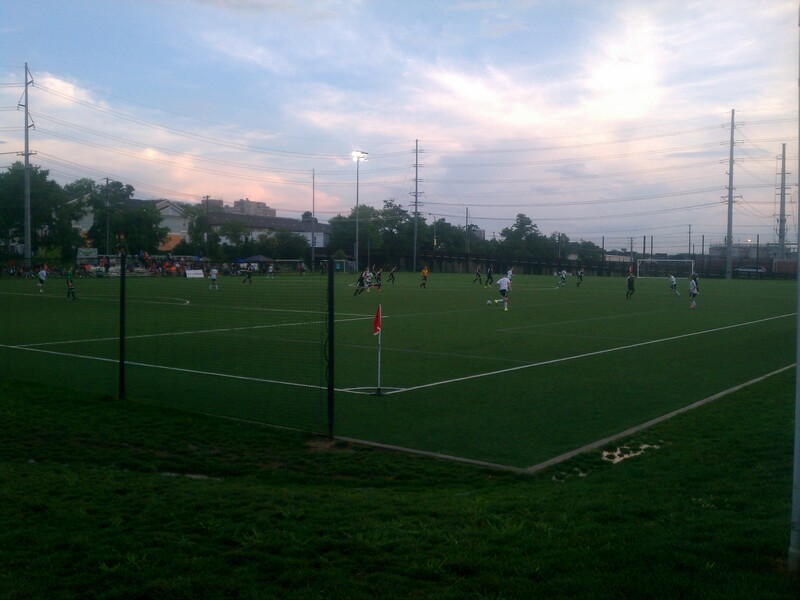 Castleberry Hill AC–An organization looking to use soccer to improve their community. Currently trying to build Old Trenholm in the shadow of Mercedes Benz Stadium. Top three scarves I have come across. . . I usually buy the team scarf at each match but when I was at the Chicago Fire tailgate, I saw people walking around this scarf and knew that I had to have it. The scarf tweaks the Chicago city flag, using navy blue bands to frame the edges instead of the sky blue and then uses the four red stars through the middle. Great looking piece. 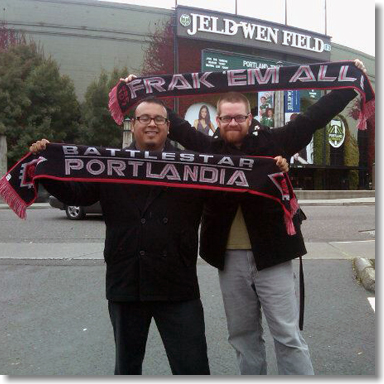 While standing with Timbers Army, I spotted a Battlestar Portlandia. Having just come out of my Battlestar Galactica geek phase, I really loved the merging of pop culture and sport. Doubt I will ever get my hands but one of these but a really slick design. A scarf from Detroit City FC’s inaugural season is one of my favorite scarves. All the design elements come together, with of color scheme of rouge and dark yellow, a clean font and the argyle print adding a wonderful touch. DCFC has absolutely crushed it from a brand and merch perspective from day one. 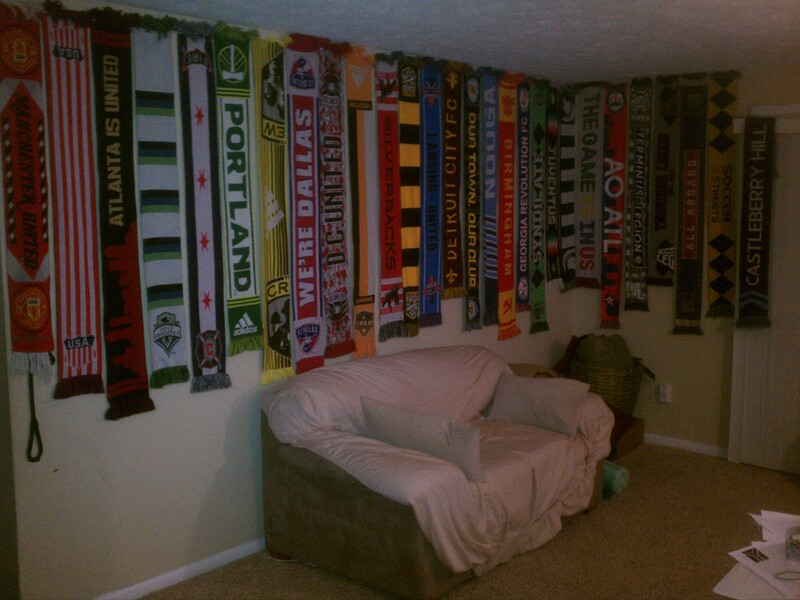 If you want to see a real scarf collection, visit Kenny’s Football Scarves. He has over 2000 pieces organized by league and region. Read more about my groundhops and supporter group interactions at the SoccerNomad blog. Also check out the SoccerNomad podcast, which focuses on Supporter Groups and kit design. Finally follow me on twitter @austinlong1974. Another busy, wonderful, hot summer is in the books. 2016 truly was the summer of soccer with Copa America Centenario, Euro 2016, and the Olympics, plus all the levels of US Soccer in season. Here’s a quick look back at my summer. May saw me check another team off of the list. 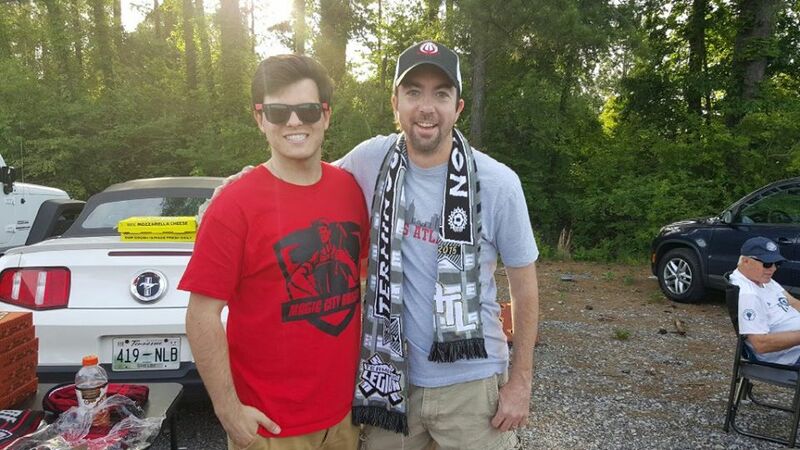 I headed to Birmingham to see the Hammers first ever NPSL home game. They hosted Chattanooga FC and fell 1-0, but something special is in place both for the team and the supporters group Magic City Brigade. The following weekend was exhausting as I watched the FA Cup Final at Fado Midtown with the Atlanta Manchester United Supporters and Crystal Palace ATL. An amazing crowd and a thrilling victory for the Reds. Voice gone, memories made. The next day was the Atlanta Champions League, a fundraiser for Soccer in the Streets. 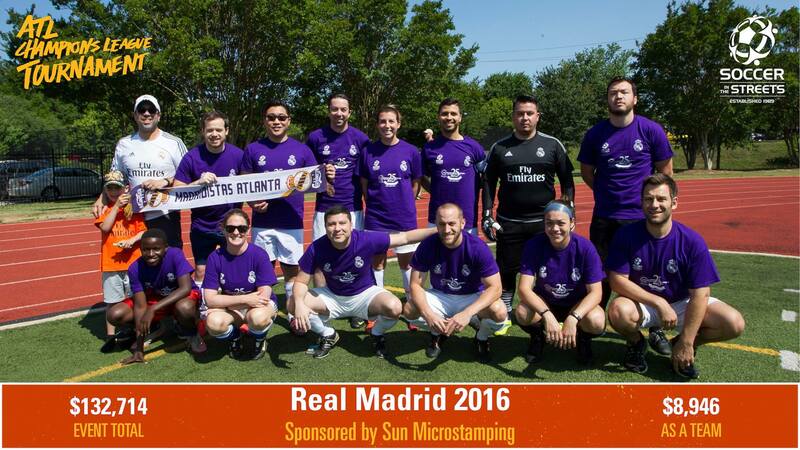 I played with Madridistas ATL and while the results didn’t go our way, we had a great day. The month wrapped up with the Champions League Final, which I watched downtown at Bottle Rocket with my friends from Castleberry Hill. Real Madrid secured Una Decima on penalties with CR7 sealing the victory. Started June by taking in another NPSL games. Larry and I headed to Knoxville for the Force against Nashville FC. A spectacular goal won the three points for the hosts and earned them a Volunteers Shield win as well. 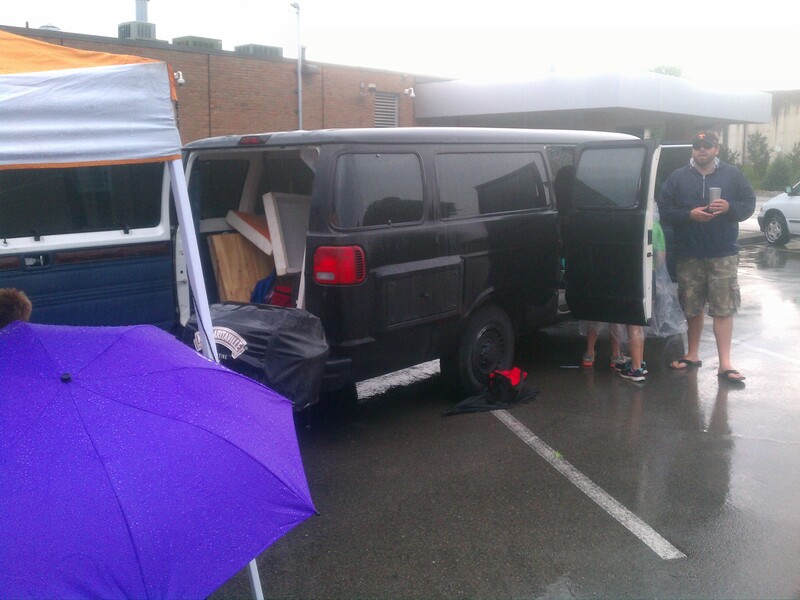 Despite the weather, we had a great time and met some great people. Big tournaments on two continents kicked off, with the United States hosting Copa America Centenario and France welcoming Euro 2016. Work got in the way and I tried to catch as much as I could. 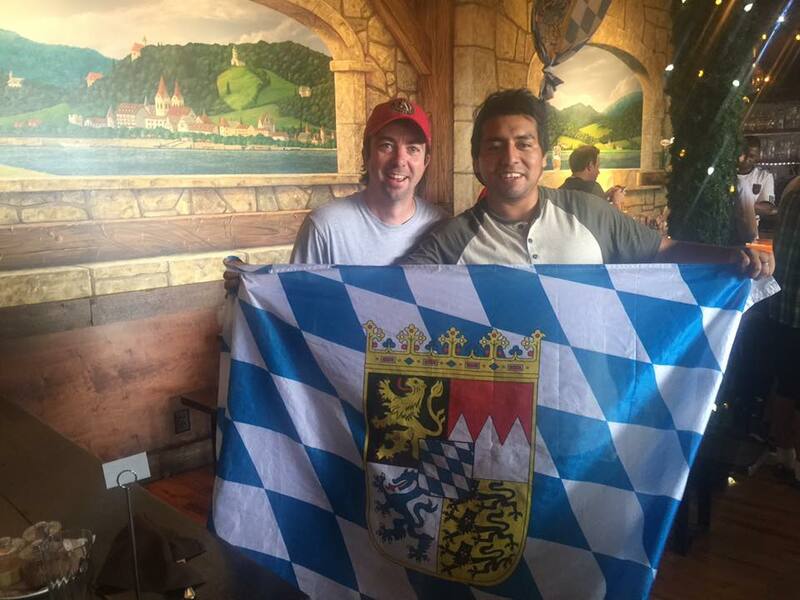 Besides watching the summer tournaments at home, I was able to catch games at Rose and Crown and even got to watch Germany v Italy at Der Biergarten with Mia San ATL. 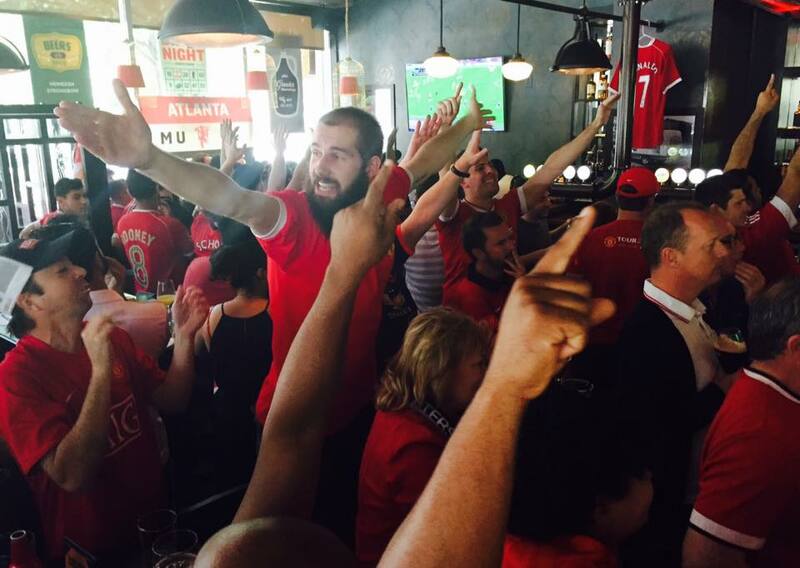 I watched the final of both competitions at Fado Buckhead with hundreds of soccer fans. With the Euros and Copa America in full swing, Erin and I joined Terminus Legion at Wild Heaven Brewery and then went to the Georgia Revolution/Knoxville Force friendly in Conyers. It was a full day of beer, Panini sticker albums, fellowship and footy. 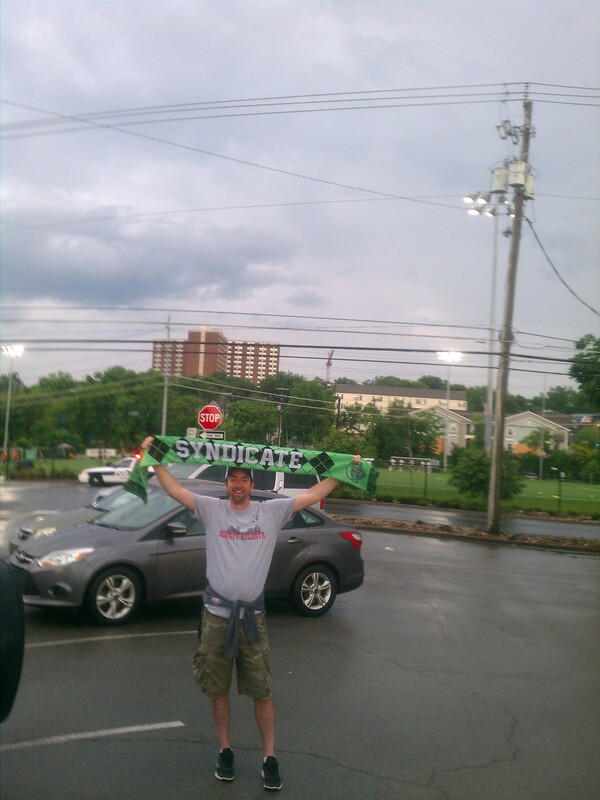 Saw the Revolution again the following weekend against the Atlanta Silverbacks at Silverbacks Park. The Silverbacks won the game and eventually made it all the way to the Regional Semi Finals before losing to Miami FC. 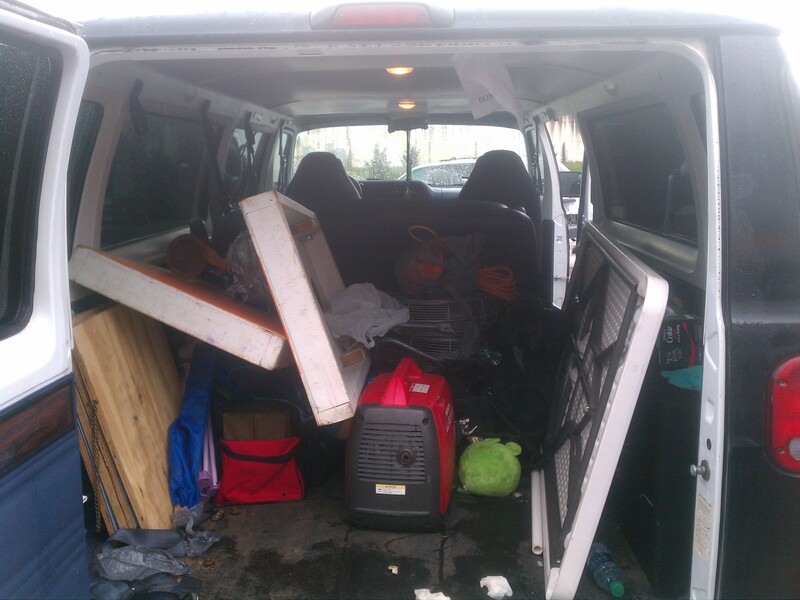 I celebrated five years of the SoccerNomad blog in July. Hard to believe it’s been that long. The blog has seen several changes in terms of frequency and topics but two topics are always on tap: memories and kits. Towards the end of the month, I was lucky enough to be part of the organizing committee for the first ever #ATLSoccerCon. 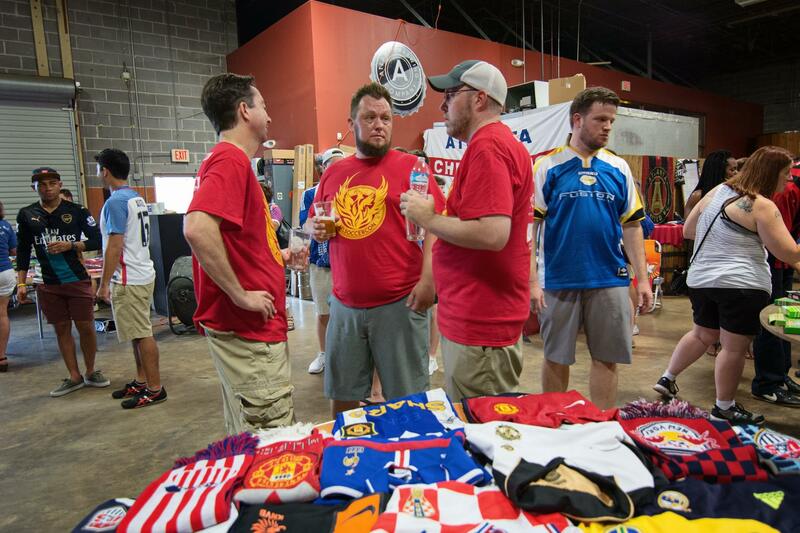 This event brought together soccer fans from around Atlanta andthem a chance to look at kits, play Subbuteo and hang out. The afternoon was highlighted by a Meet and Greet with the US Paralympic National Team. Photos here. The month ended with the MLS All Star game in San Jose. Terminus Legion got together at Rose and Crown to watch the Gunners defeat the best of MLS 2-1. 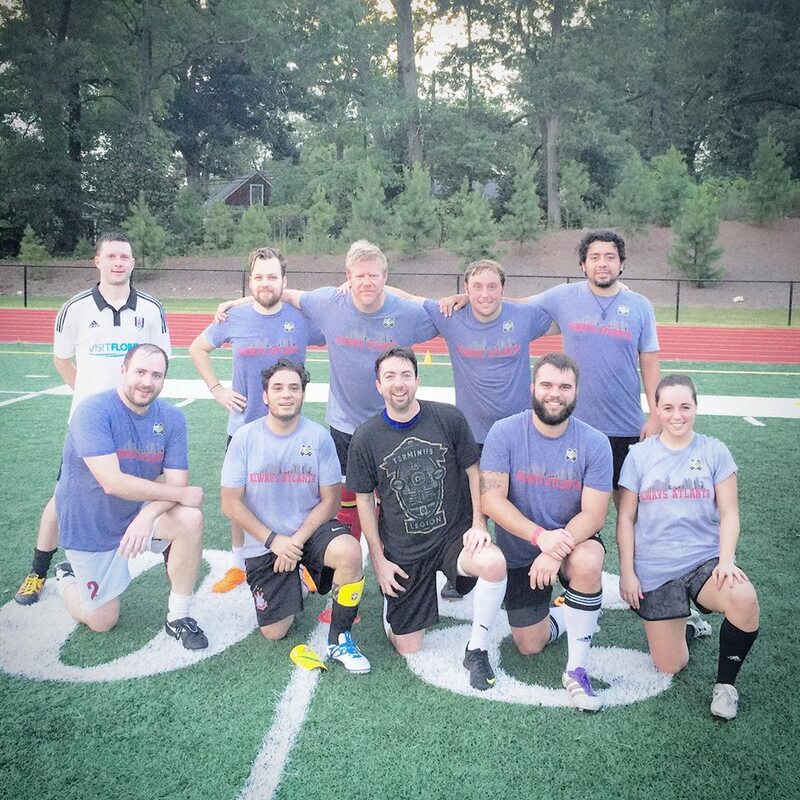 August saw the Terminus Legion soccer team win their first ever playoff game in the Sons of Pitches Sunday Supporters League. We defeated LFC Atlanta in the quarter finals after a penalty shootout. Unfortunately we lost in the next round but another great session for the team. Later that month, European soccer started back up and I watched the Community Shield with the Manchester United Supporters of Atlanta the Brewhouse. A great summer of footy action and looking forward to another great season. Have a couple of trips in the works so look for posts on those. Check out more posts on my trips, research and memories on the MatchDay Memories page. 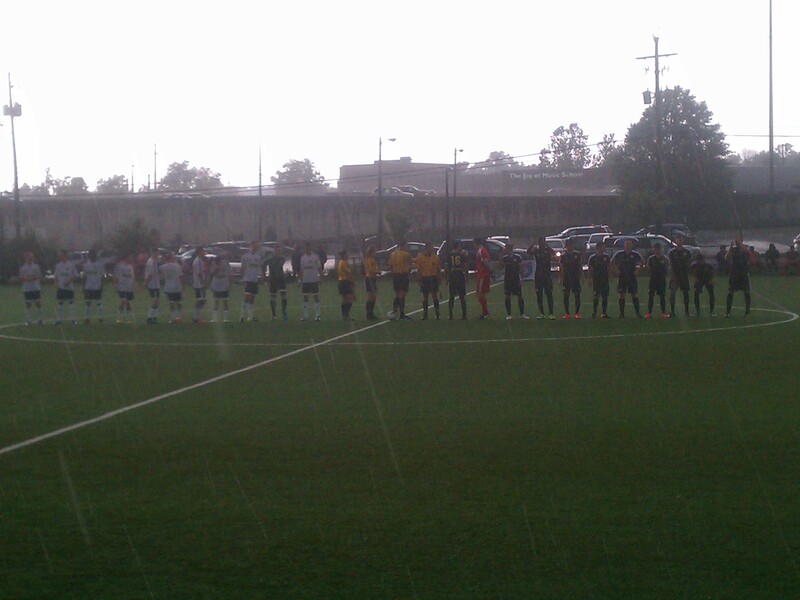 The Knoxville Force faced off against in state rival Nashville FC not only for three points in the NPSL Southeast Division but also as part of the Volunteer Shield. After an opening day loss at New Orleans Jesters, the Force rebounded with a win against the Hammers (sorry Forrest and Collin). Nashville were 1-2 in the conference with a win against New Orleans and losses to Chattanooga FC and Memphis City FC. Those two losses also impacted the Volunteer Shield, which is a supporter group created trophy recognizing the club with the most points in head to head games between the Tennessee NPSL teams. Think Cascadia Cup for the Volunteer State. We pulled into the hotel under threatening skies. I immediately checked the weather and saw that there was a 94% chance of rain at kickoff. Being a fragile flower, I asked Scruffy City Syndicate if umbrellas were allowed in the complex, which they were, so game on. 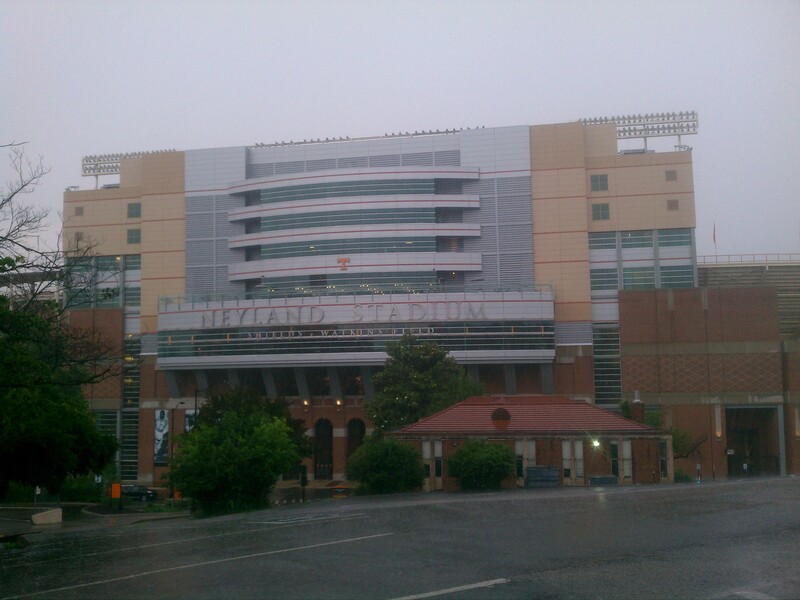 I wouldn’t say I love college football, but I’m a fan so had to see Neyland Stadium. 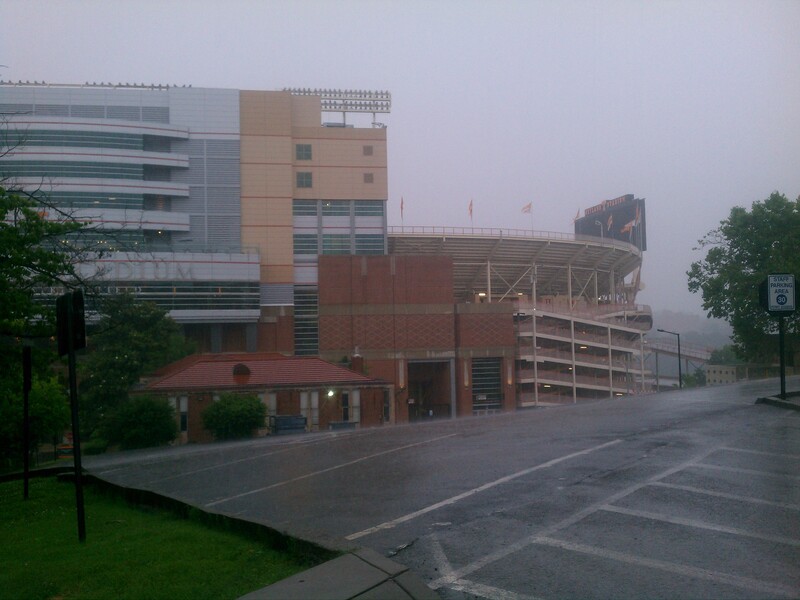 We drove by in a torrential downpour, snapped a couple of pics and headed to the tailgate. Turnout was low due to the weather but the Scruffy City Syndicate had fired up the grill and had hot dogs and beers ready for anyone ready to brave the downpour. Ben Winder greeted me and gave me a brief recap of the group. Founded in 2014, SCS has a close relationship with the Front Office and has secured an area in the stands to support the team. Plus they got a deal on season tickets that allows them to offer a great membership package. 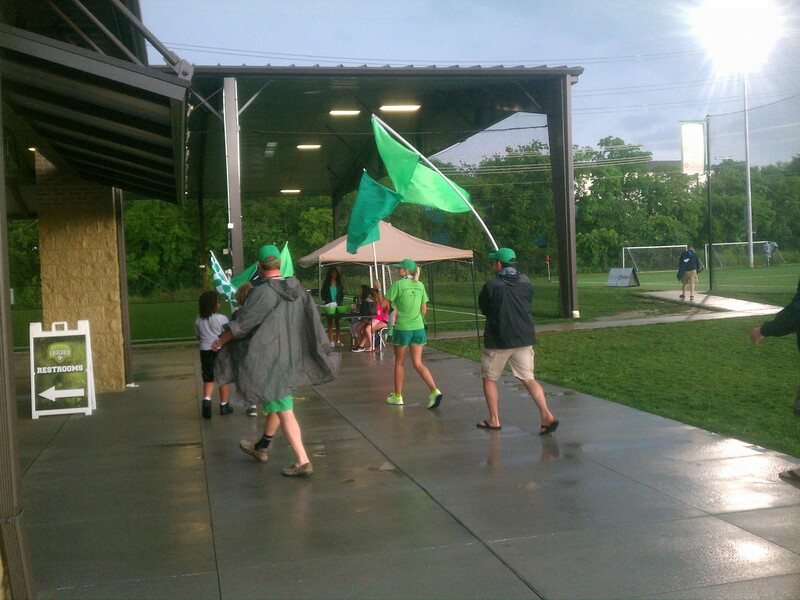 As for the club, the Knoxville Force combined efforts with the Emerald Youth Foundation ahead of the 2015 season. This season the team has a new coach, Bradley Camp, and a revamped roster. After meeting everyone, SCS showed me the pièce de résistance—Vanimal. Complete with a sound system and grill, the beast is a beauty to behold. 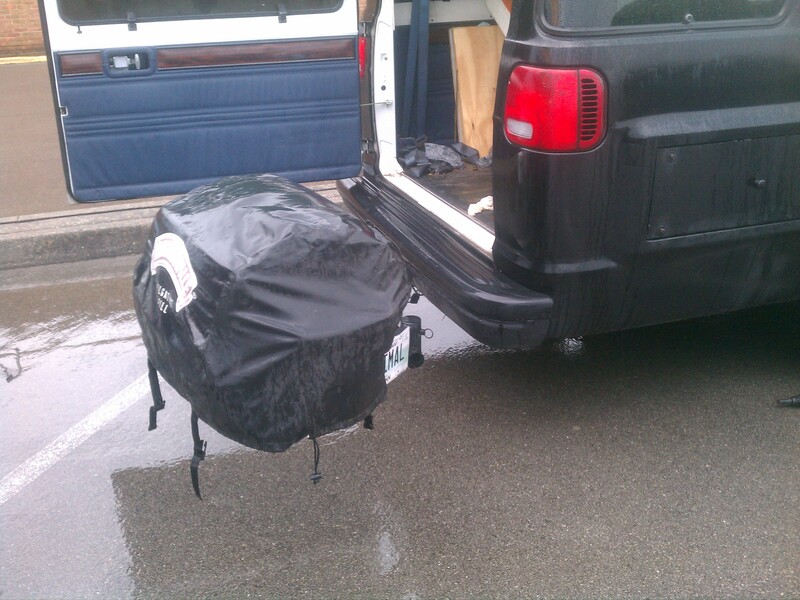 Not only can it carry all the supplies but it also seats several loyal fans. Terminus Legion needs one of these ahead of 2017. SCS packed up and headed in. Their tailgate spot is right across from the complex—super convenient. 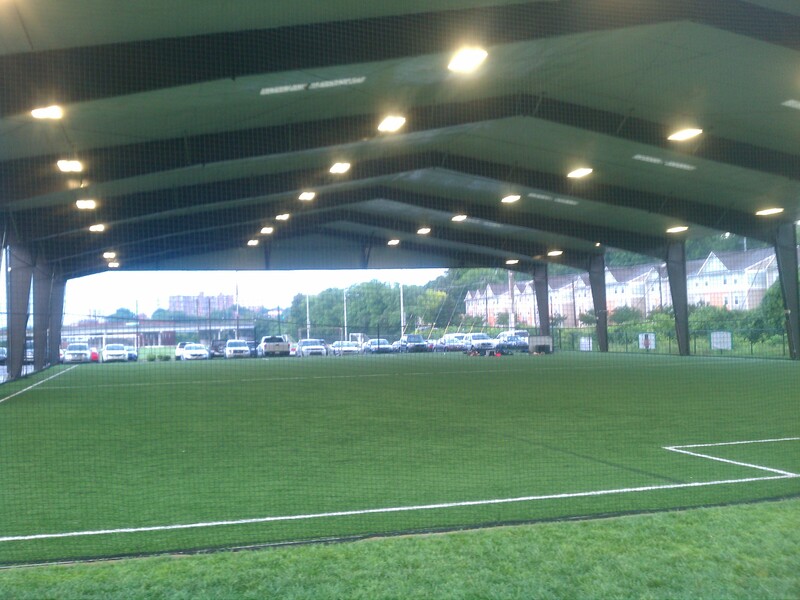 Sansom Sports Complex is a relatively new facility and features a clubhouse, a covered small sided practice area (which came in handy this night) and two turf fields. A grass field is under development as well. The complex is easy to get to and visible to the community around them. The match started off with a bang as Knoxville Force scored just two minutes in. NFC recovered and took control of the match, with Elliot Goodwin (#23) constantly running at the Force backline. He scored the equalizer (offisde?) 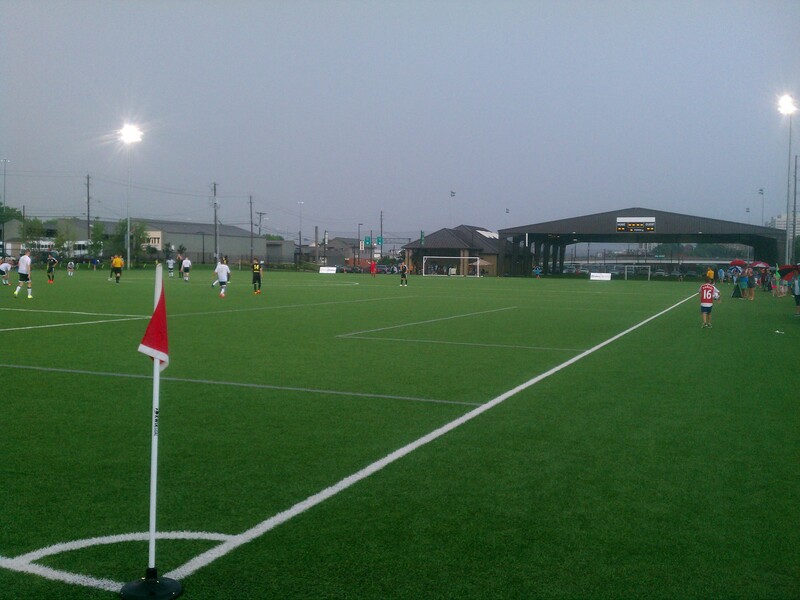 and Nashville FC punished poor defending to go into halftime up 2-1. Knoxville came out and were on the front foot in the second half. Yinka Lawal (#9) was a force up top but wing play was a real strength. Midway through the second half the Force knotted things up and with the game creeping towards a draw, this happened. Cameron Schneider received a cross at the top of the box and chested it to himself for the acrobatic finish. One of the greatest goals I’ve ever seen live. The Force subbed and reorganized after a late red card to close out the match. Huge win for Knoxville as they go to 2-1 in the league and the Volunteer Shield standings. Next up is Chattanooga FC at Finley Stadium on Tuesday. Scruffy City Syndicate put a great show. Small in numbers but huge in terms of attitude. Plus the next generation is getting involved, complete with costumes and a pyramid. Big props to El Beasto!! It was great to stand with them and many thanks to Ben and the gang for letting me hang out with them. If you were at the match, let me know your thoughts. As always, check out the rest of my groundhops— past and present—on the MatchDay Memory page and hit me up on twitter @austinlong1974.